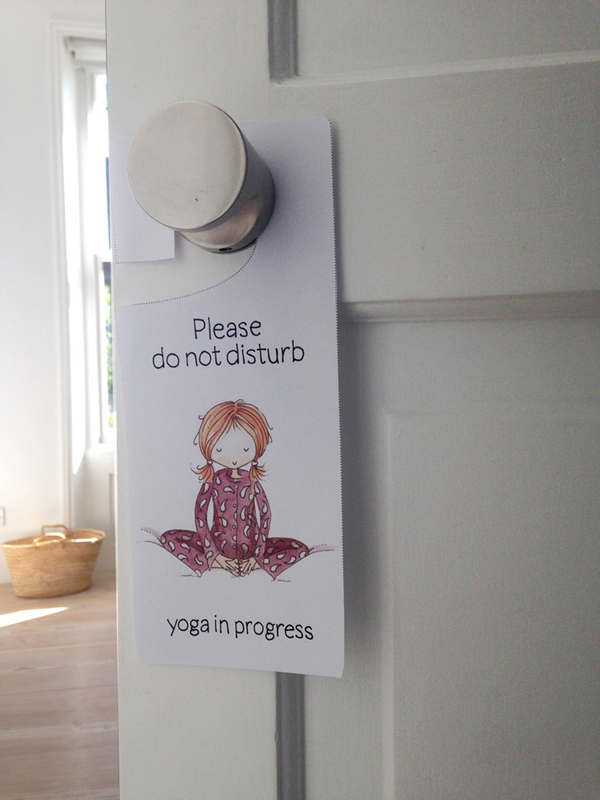 I took my first yoga class, aged 6, in a friend’s playroom and am passionate about introducing children to yoga. It shows them how to be healthy, happy and successful, how to respect themselves and interact positively with others and their environment. Sharing yoga with your children is a wonderful way to spend quality time together, without the distractions of mobile phones and computers. It is an opportunity to give them your full attention, to listen and be present. Yoga can be enjoyed anywhere – on the beach, in the garden, park, forest and even in your bed! I designed this sequence for you and your children to enjoy from the comfort of your own bed. You can try it at any time of day – maybe on a lazy Sunday morning or before bed to help your children settle down and sleep well. Practising yoga with children doesn’t always resemble the serene environment of an adult’s class! Try following the instructions I have given for each pose but don’t worry if your children are focused one minute and disinterested the next. If the whole sequence is too long then do one or two poses at a time. If your children are distracting each other, gently encourage them to close their eyes and give themselves attention rather than looking for attention from others. Be patient and remember that a single, short lived pose experienced one day may be the seed that grows into a lifelong love of yoga. Let it be full of joy and happiness! Explain to your child that being mindful is noticing what your body feels like, how you are breathing, what thoughts you are having, what sounds you can hear and what is going on around you, right now. Helping your child to be mindful is a gift you are giving them for life. As you bend to each side imagine you are the moon reflecting the light of the sun towards the Earth. From the moon you can watch the Earth spinning in space. It is your home and will be the home of your children and the children of your children. What can you, your family and your school do to protect the Earth? 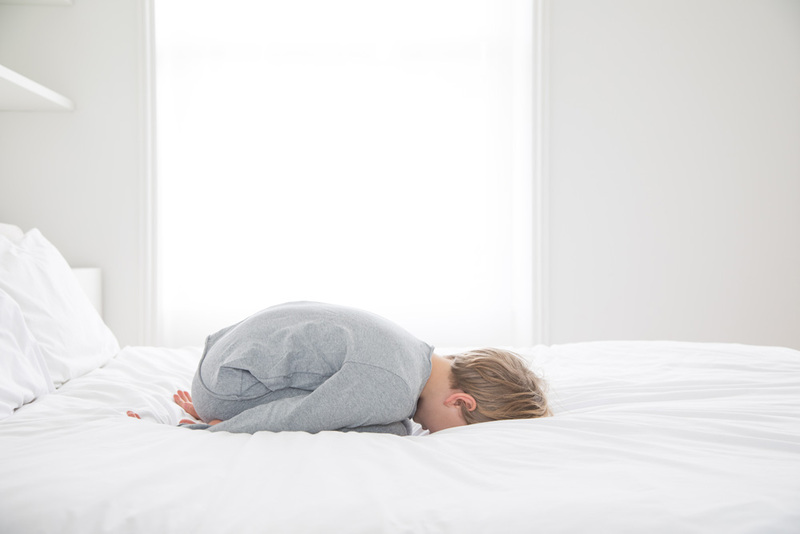 In Crescent Moon and the next three poses (Zig Zag Twist, Ball and Bridge) your child will move their spine in four different ways. Explain that in Crescent Moon they are side bending their spine. Talk about how it feels to move your spine in different ways and explain that if they do these poses every day they will keep the natural flexibility and health of their spine, now and in the future. Explain to your child they are twisting their spine. Explain to your child they are flexing their spine. Explain to your child they are extending their spine. Imagine you are a butterfly. Close your eyes and imagine you can fly to your favourite place. As you arrive there, notice what you can see all around you, the sounds you can hear and how you feel. You can do whatever you want here. When you are ready you can fly back home and open your eyes. Imagine you are a quiet, gentle mouse. Imagine you are curled up and are feeling safe and sound. Breathe slowly and enjoy being still. Let yourself relax deeply. If you are doing the sequence in the morning make a positive goal for your day ahead. Repeat it three times to yourself. Then sit up and open your eyes. If it is bedtime then cuddle under your blankets. Feel safe and sleep well. I am so excited to share this Yoga in Bed sequence with you and your children. Please let me know how you get on with it by leaving your comments below. Finally, yoga that I can do in bed 😉 My wife has been on my back for years now trying to get me to take up yoga but it all looked a bit, well… too much like hard work. I have said that maybe one day I would give it a go. This is certainly a start for me and I actually mean it this time, Honest. This is so cute! Must try. This is such a great idea. Can’t wait to give it a go with the kids! Oh So happy to read this! Inspired And heart warmed to see Rafi all grown up still smiling kindly in his yoga pose! I will print and try it all out with the children thank you! My daughter and me were lucky to practice this with Kiki few months ago, and every so often we still do. We find it a wonderful soft practice to do in the morning, before getting out of bed. Being slow and kind to ourselves, especially in the very cold week here in London. Cant wait for Kiki’s book to come out. Love the photography, and Courtney, your blog is great. What a wonderful post! And much needed too, I can’t wait to try these with my daughter. You’ve made these excercises sound so easy and enjoyable. I can’t wait to read the book too! What a beautiful post. Ive tried this with my children this morning and they loved it! I hope to make it part of our mornings as a family every weekend. Thanks Kiki and can’t wait for your book. What a lovely sequence. I have just started yoga with my two children and they love these poses. Fantastic post, thank you Kiki!! Kiki is an inspiring and utterly delightful lady who engages with children in a magical talented way. Her extraordinary level of yoga training and teaching plus her medical background make her uniquely well qualified to engage with all ages and abilities and she makes it fun, with kind gentleness and great perception. The power of the embarrassing parent!